Short & Sweet II Tickets Now on Sale! 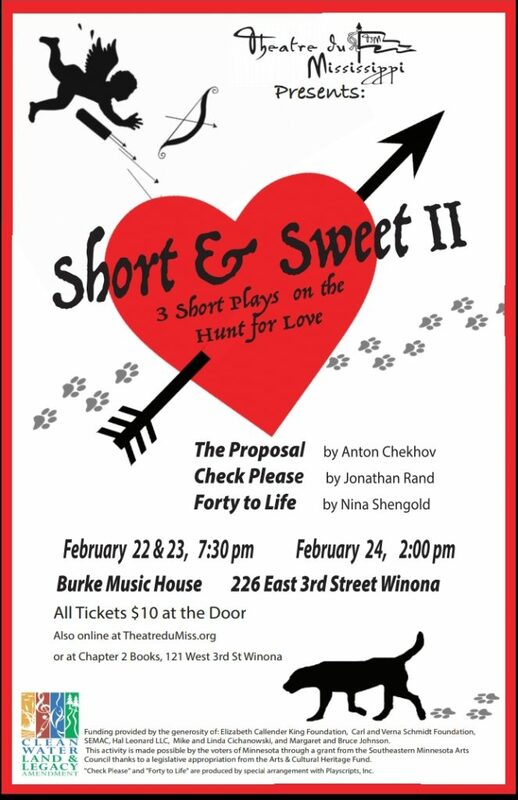 Three short comedies about the perilous hunt for love. Shows are on February 22 & 23 at 7:30pm and February 24 at 2:00pm. All tickets are $10 and can be purchased online here, at Chapter 2 Books, or at the door. ← Christmas Radio Show Tickets on Sale!